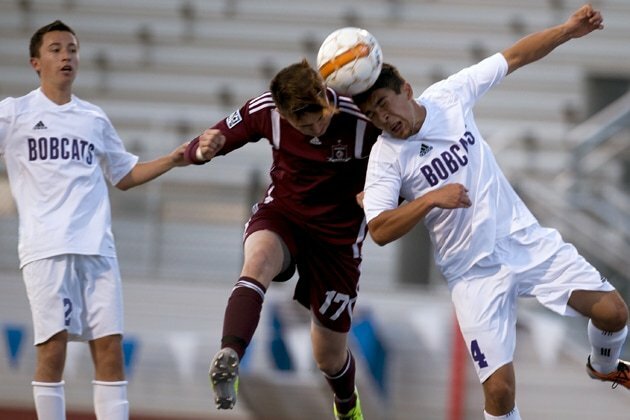 Hallsville's Gilberto Lara heads the ball to block a shot on the goal by Red Oak's Trenton Lee. RED OAK—Red Oak High School has named Oscar Lewis as head boys varsity soccer coach and Adam Prachyl as head girls varsity soccer coach. 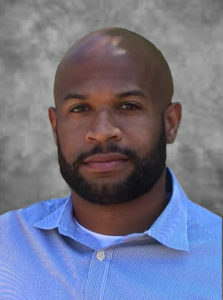 Lewis joins Red Oak ISD after serving as varsity assistant soccer coach at Harker Heights High School in Killeen ISD, where he also taught World History and was an AVID team member. He brings a successful record of coaching teams through multiple playoff appearances and developing student athletes that are able to successfully compete at the collegiate level. Lewis said he is looking forward to opening doors for his student athletes. “The soccer program at Red Oak High School is full of thriving student athletes with the potential to flourish at new heights. These young men have worked extremely hard to develop this program over the last several years, and I am confident that we will only continue to improve,” Lewis said. Lewis played college soccer at Huston-Tillotson University in Austin (National Association of Intercollegiate Athletics) where he was a member of the Red River Athletic Conference championship team. He has been coaching club soccer in Austin, TX (Lonestar Soccer Club) since 2010 where he has helped players earn scholarships to universities across the country. In addition to serving as head soccer coach, he will be teaching History. Lewis is excited to join this friendly community and get to work as a part of the Red Oak Hawk family. 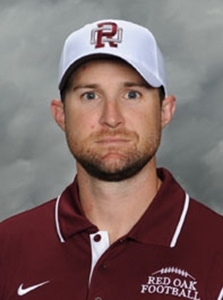 Coach Prachyl has been with Red Oak ISD since 2007. He most recently served as assistant boys soccer coach. Prachyl earned a bachelor’s degree in History and Political Science from the University of Texas at Arlington. In addition to coaching, he teaches Social Studies. He and his wife Misty, a sixth-grade Social Studies teacher at the Red Oak Middle School, have two children, Mason, who is 3, and Allie, who is 1.